LG has finally revealed its next flagship phone: The G7 ThinQ. Although we have a good idea of the specs and capabilities packed inside LG’s latest flagship—including its AI-powered camera and “Super Bright” screen—some unresolved particulars still remain. For a more detailed assessment of the hardware and software experience, you’ll have to wait for our full review. But the question of carrier availability is one that can be answered now. Across the board there seem to be a few unknowns. Chief among them is the price; we just don’t know how much it’s ultimately going to cost. LG doesn’t do direct sales itself—at least, in the US—but it did reveal a few key bits of information in the general announcement press release. It should be out “in the coming days” in South Korea, with North America, Europe, Latin America, and Asia to follow. Some carriers have set their own specific dates for pre-order and general availability, though. Official pricing is still TBD. You can sign up for additional information at LG’s site, including specific availability for the 5 US carriers listed below. Sprint is being quite verbose on the subject of availability—in stark contrast to many other carriers. Subscribers will be able to get their phones beginning on June 1st, with pre-orders opening May 25th. Pricing is still TBD, though. Pre-order begins on Friday, May 25, at www.sprint.com/LG. Device pricing will be provided at a later date. 1 1 Hulu Limited Commercials plan per eligible Sprint account. HD content varies by device and connection. Compared to national carrier HD unlimited plans features differ. Speed maximum and use rules apply. T-Mobile’s PR, released earlier today, doesn’t include too much information on availability, outside of stating that it will be “headed to T-Mobile later this spring.” Odds are that it should be similar to the dates set by other carriers, but we can’t be entirely sure just yet. Like Sprint, pricing is TBD. They say G’s move in silence, but LG is going big and loud with today’s announcement of their latest 600MHz superphone, the LG G7 ThinQ™, which will be coming to T-Mobile later this spring. With dual 16MP rear-facing lenses and advanced AI features, the LG G7 ThinQ delivers clear, sharp photos—even in low indoor light. And for all you Netflix-a-holics out there, the G7 ThinQ touts a 39 percent larger speaker than LG’s previous flagship, and rocks an impressive 6-inch QHD display with best-in-class brightness—even in blinding sunlight. For more information on the entire smartphone portfolio at the Un-carrier, visit us online and make sure you check out the deals hub to learn more about our awesome limited-time device offers. Even smaller carriers are getting in on the G-series action. U.S. Cellular subscribers can pick the phone up in stores beginning on June 1st. Again, the final price for subscribers is still unknown. 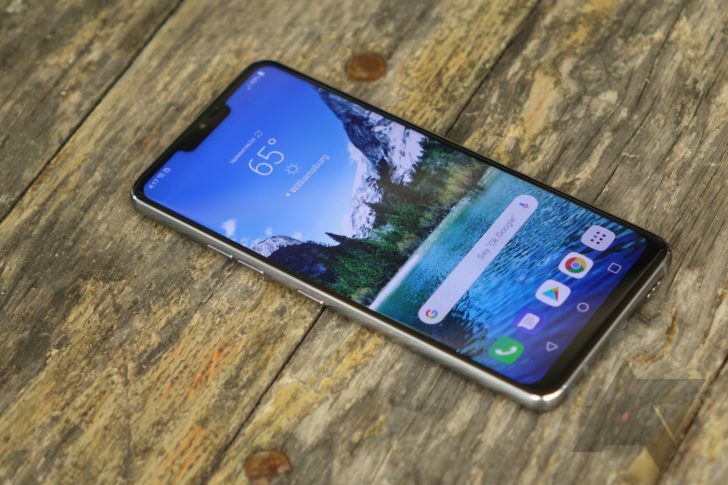 U.S. Cellular will offer the latest device from LG, the LG G7 ThinQ. The new phone’s features include an AI Camera, Google Lens, Super Bright Display, and Boombox Speaker. Customers will be able to order starting June 1 at uscellular.com and in U.S. Cellular stores. Pre-orders open May 24th—a day before Sprint. Like all the other carriers, price is nebulous. Out of all the major US carriers, AT&T is the only one that’s yet to make a peep about the LG G7 at all. While I’d expect it to be mostly in-line with other carriers (pre-orders May 24th-25th, sales June 1st-2nd, or thereabouts), until it makes an announcement, that’s entirely speculation. LG’s G7 ThinQ’s tedious name seems to come with an equally tedious lack of details (so far). I hope those of you looking to pick one up aren’t put off by indeterminate pricing information and indefinite dates. We plan on updating this post with additional information as we get it. I just hope the contrast of availability information revealed with LG’s G7 ThinQ launch compared to the plethora of information provided with the announcement of the Galaxy S9 isn’t an indicator of this latest flagship’s future. Can you play PlayStation Classic games on the PlayStation 4?